Sponsor: I wanted to thank this week’s sponsor, Knitterly…a special yarn shop created by Shelli Westcott, based in Petaluma California. I am always amazed at the well curated selection of yarns, fibers and classes Shelli works so hard to provide all us fiber enthusiasts. Knitterly recently released a gorgeous collection of weaving kits featuring a selection of colors and textures chosen by Shelli and her daughter Ashleigh. 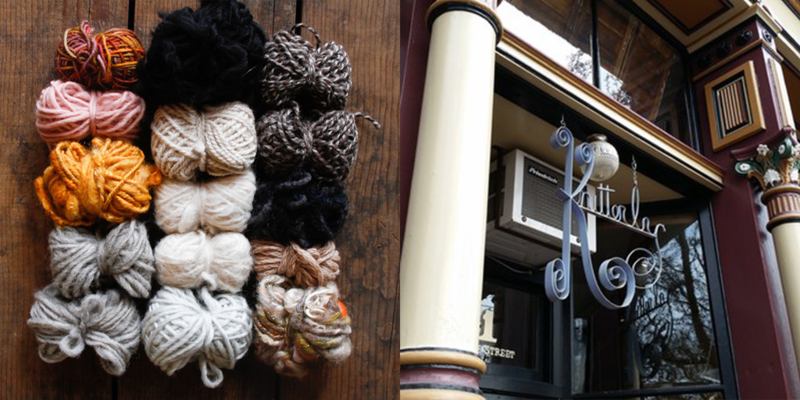 Make sure to visit knitterly.net for a great list of upcoming classes at the Petaluma shop and a vast selection of yarns and their own Radius collection. 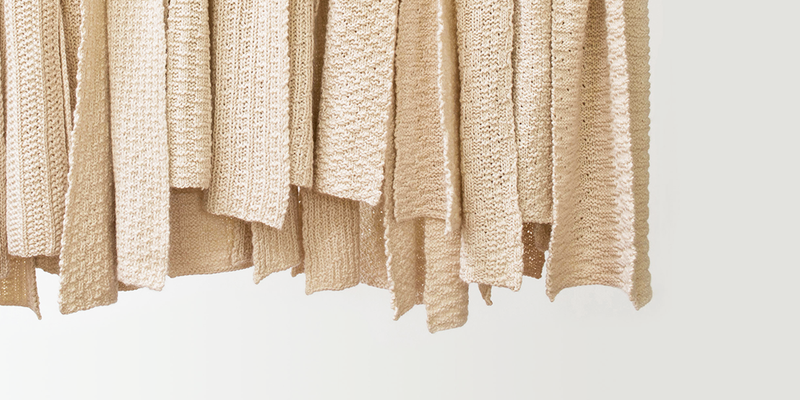 Fiber folk: A few weeks ago, I spent a morning sitting in our living room and chatting with Cecelia Campochiaro, the author and creator behind Sequence Knitting. It was fun to discover commonalities other than the obvious love of fiber…from our careers in tech and our time in Taiwan, to having the same tech editor and analytical approach. Sitting across from Cecelia, you can see the passion and dedication to which she applies to her craft, but more than that, you can hear it in her voice. 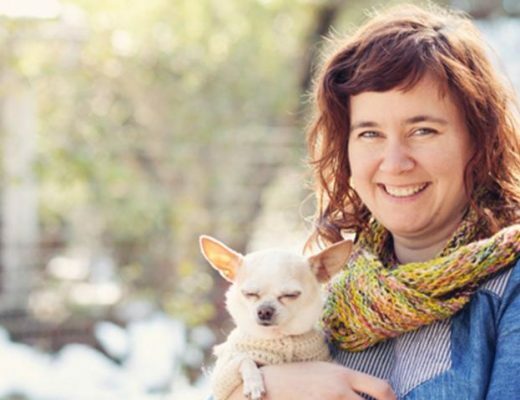 She’s spent an immense amount of time and thought, bringing to the world her first book, Sequence Knitting, a labor of love and necessary addition to any knitters library. You can find Cecelia at sequenceknitting.com and on Instagram @ceceliacampochiaro. Man on the street: For this week’s “Man on the Street” I asked the question, “What sort of fiber related books fill your library?”. 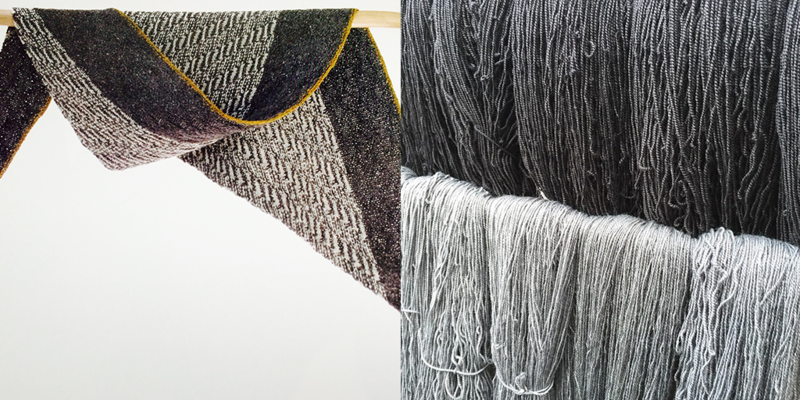 We had some great answers from Leanne @leannecoppola, Lauren @woolpickle, and Maria @fernfiber. 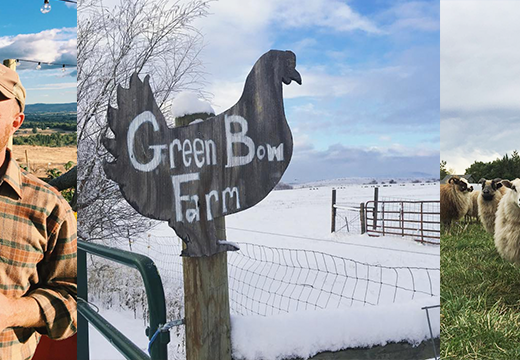 Giveaway: The winner of last week’s giveaway, is Beth of Evergreen Violet! 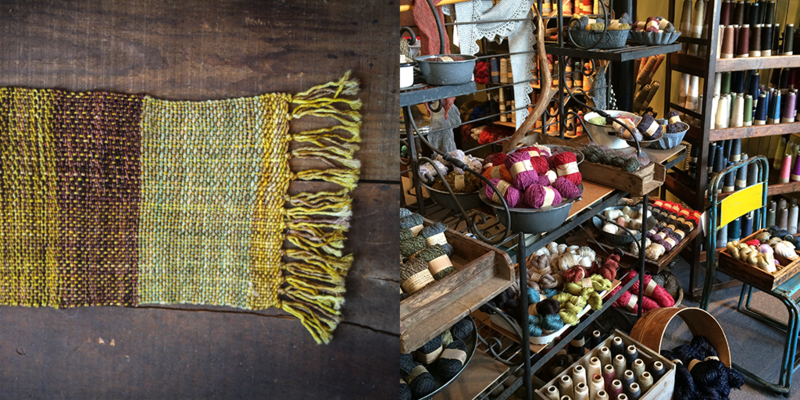 You’ve won 2 skeins of Fancy Tiger Crafts Heirloom Romney along with their beautiful Imposter’s Shawl pattern. Congratulations! 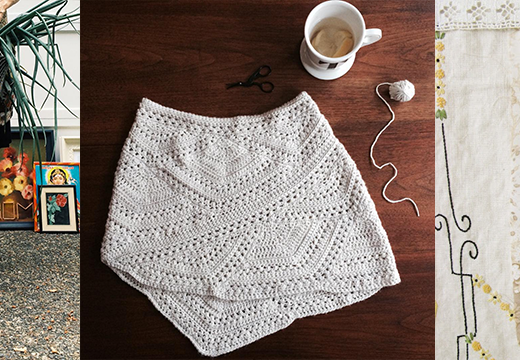 This week’s giveaway is sponsored by Knitterly and Rowan Morrison Books. 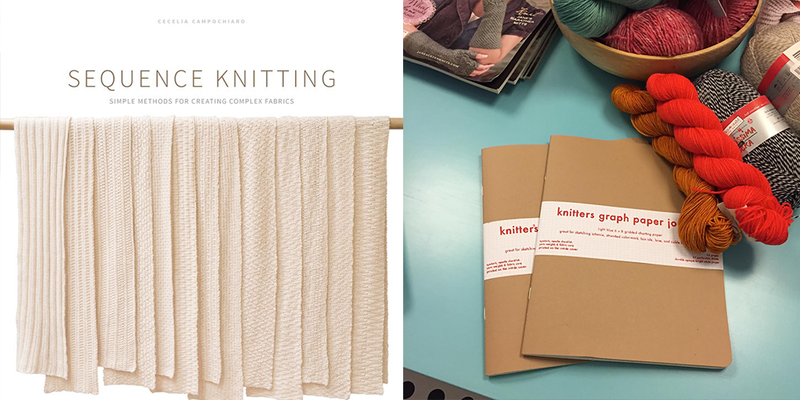 We’re giving away one of Cecelia’s books, Sequence Knitting from Knitterly and a 3-pack of the Knitters Graph Paper Journal from Rowan Morrison Books. To enter this giveaway, leave a comment in the comment section at the bottom of the post page. Knitalong: Beginning October 1st we’ll be starting the Fall Woolful Knitalong which will be co-hosted by Knitterly. This time we’ll be knitting a pattern from Cecelia’s book, Sequence Knitting and the best part is that you get to pick the pattern! So make sure to pick up a copy of her book, which you can find in person or online at knitterly.net. As for what yarn to use? We’ll be putting together a list of suggested yarns, but this could also be a great opportunity to use some of the yarn from your stash. So take a look and start dreaming of the perfect Fall project. We’ll share more details on the blog and podcast as it get’s closer. 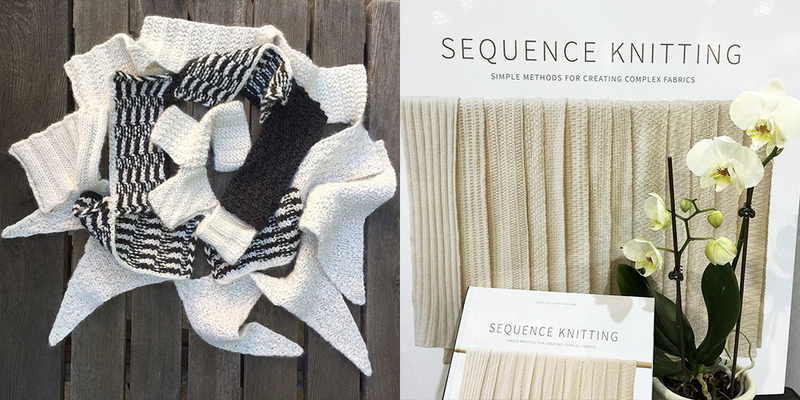 Sequence Knitting looks like an amazing book! I would love a copy of my own! Thank-you for the giveaway! Another great looking podcast. I just discovered them all and am listening obsessively. Thank you for the inspiration! This book shines a whole new light on my knitting! Thank you for this episode! I would love to win a copy of Sequence knitting. It’s amazing what is possible by using two diffrent stitches! Would love a chance to win this amazing book – thank you for sharing the podcast. Would LOVE to win this book! Thanks for the podcasts. Great episode! Thanks for another interesting giveaway, too. I’m fascinated with the idea of a book that is full of patterns I can learn and then knit without having to keep looking back at the pattern. For the times I am waiting or in a meeting, these patterns will be perfect. Wonderful interview. I love hearing about the thinking behind the book. Another great episode! What an interesting book– the possibilities are endless! Thanks for the giveaway! I loved Cecelia’s story about fiddling in class, and the realization that for some people that kind of physical activity helps in attending to a task. If I’m at a meeting I have knitting. I don’t go ANYwhere without ‘pocketbook knitting’ (I mean ever!)! It’s nice to know I’m not the only one. This book has been on my list. Looking forward to the KAL! Sequence Knitting has been on my wishlist! Looking forward to the KAL. I love the idea of sequence knitting. It’s so amazing the complexity that can be created using only a small number of stitches! It was fascinating to hear about this book, and I want to meet it in person someday soon. Thanks for the podcast! looks like this is a very interesting book. Wow, you were right when you talked about her dedication! Cecelia’s story was captivating and interesting to hear, and I would love to own a copy of her book. By the way, I’ve been enjoying your podcasts a lot, so thank you for making them! Ooh I can’t wait to listen – I’ve been fascinated to have a look inside this intriguing book. Love the concept of the book. Please enter me in the giveaway. Sequence Knitting has intrigued me from the minute I first saw it. Would love to win! Another lovely podcast. 🙂 It looks like a beautiful book, thanks for the chance to win! I so enjoyed your chat today & love the idea of sequence knitting! Cannot wait to find the book. I listened today while doing some knitting; it was like we all were in your living room together! So good. Looking forward to looking thru the book! Fascinating episode! Will have to look for her book. What a great podcast! I’m so excited to check out Sequence Knitting! Thanks for a great interview and the opportunity to learn more about the book Sequence Knitting. You always have such interesting people on your podcast. I look forward to each episode. This book sounds amazing. I love technical thinking. This book looks fabulous and I would love to win a copy. Thanks for such a clean and crisp podcast. This book seems so interesting and different – would love to get my hands on a copy! Thanks for the podcast! I would love to check out a copy of this book! I enjoyed your podcast again, whilst making jam. Now on to some knitting, you always inspre me! Looking forward to trying out the techniques in Sequence Knitting and to the KAL! I have had my eye on this book for a while now. Thanks for the chance! Love your podcasts as always! Wow. Awesome giveaway. Thank you! Another lovely podcast. Don’t know what sequence knitting is so it is good to learn about it. Thanks! I so enjoyed hearing the process of creating this book, how your tech life infiltrated your knitter life. The book looks beautiful. A work of art. What a beautiful book. Thank you for sharing the process of its coming to be. Very Inspirational. 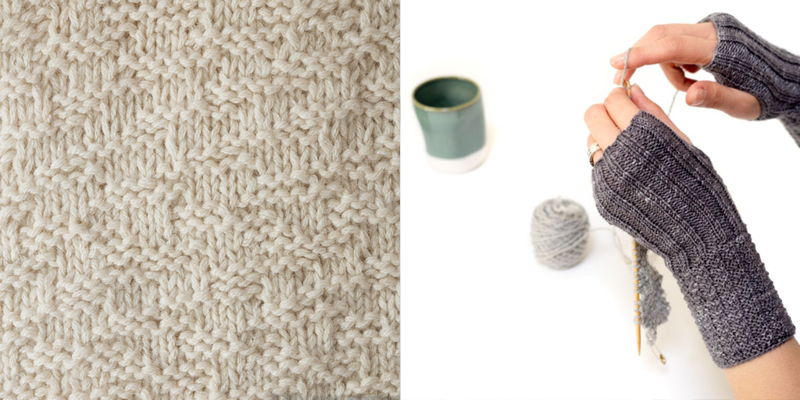 Technophile knitters for the win! Great episode, as always. Can’t wait for the next one. I’ve been knitting for the better part of forever, and I love to hear orderly knitters talk, love to see their books and patterns. As a painter and gallery owner for over 30 years, my first response is visual: the colors in the yarn, the pattern repeat, leaves against the sky. In painting, success is entirely governed by composition, whether tight Italian atelier or abstract. But composition is a fly by the seat of your pants, no rules – guidelines, but not rules, an either it works or it doesn’t kinda thing. No step by step allowed. The fog of magical development from first glimpse to completed work – whether painting or knitting – is an utter mystery to me, though I do it almost daily. Hearing Cecelia was a reminder of the beauty and clarity of a math problem – sequence. And, Surprise! The step by step makes luscious fabric. Thanks. Thanks Ashley, for all of the amazing work you do in the world. Great episode -knitting math adoration and fascination. Can’t wait to learn more about this! 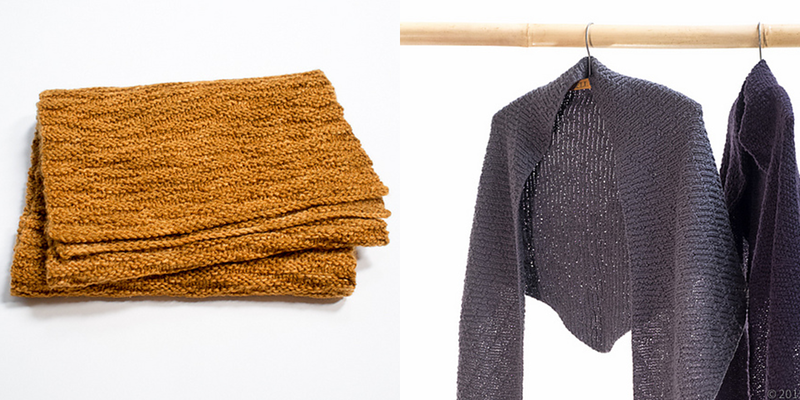 I love the idea of focusing on the quality of the fabric instead of just the “shape” of knitting. Looks like a wonderful book! Never heard of it till today…intriguing!! I love your podcast! Thank you! And this book sounds amazing really want a copy! This books looks awesome- excited to give it a closer look. Thanks for highlighting such unique people! What a wonderful interview by such an intelligent craftsperson. I can’t see on the Sequence Knitting website that the book is for sale in Australia where I live, and I’d love to get a copy – especially to win it – I’ll pay the postage! I’m an academic and love books, and agree with the author that books are important! Sequence Knitting sounds fascinating. This is the first I’ve heard of this book. Thanks for the opportunity to win a copy. Super cool to hear an interview with somebody from my neck of the woods! Really enjoyed hearing about her journey. I just stumbled over this great podcast, would really like to win a copy of this book. What a fascinating book and the story behind it! I am intrigued by patterns that look good on both sides, I hate having to worry about a “wrong” side. I wish I could be there to take her workshop in Petaluma! I enjoyed this episode–sequence knitting sounds so logical! 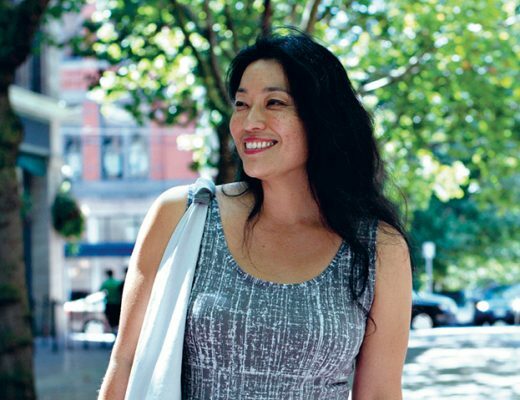 Wonderful interview, great incites from Cecelia, I am looking forward to picking up her book. Wow! Sequence Knitting sounds really cool! You never fail to provide great info! 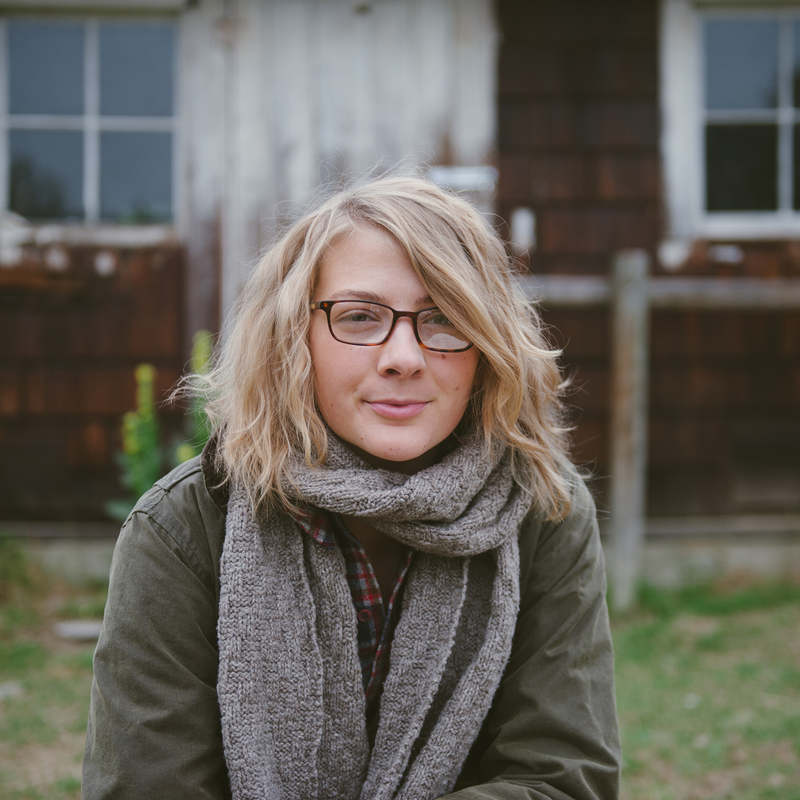 Ashley, thank you so much for all that you’re giving to us knitters and wool-lovers! I’ve only recently come across your blog, and am listening to a glorious backlog of podcasts as I knit. You and your guests are inspirational! I love listening to your podcast and it is one of my favorites! So aesthetically pleasing to my ears. Keep up the great work! I can’t wait to get my hands on the Sequence Knitting book-it sounds absolutely fantastic! I’m almost ready to leave work; how will I avoid knitting all weekend with this kind of inspiration! Another fantastic podcast, I love them so! I can’t wait to check out this book, so if I don’t win it, I’ll definitely be buying it. Thanks again for your efforts in producing Woolful, it is my favourite podcast and I eagerly await it’s arrival every week. This book. Fingers crossed. Thank you for such a great experience with each podcast! Really fascinated by the premise of Cecilia’s book. Always appreciate opportunities to understand my knitting better. Another wonderful interview! It was interesting to hear some of the details of her self-publishing experience, as well as this whole new take on systematically exploring knitting stitches. What a generous giveaway! todays podcast was very interesting. I loved hearing about Cecelia’s background and the process that lead to the making of Sequence Knitting. What an excellent episode and beautiful-looking book! I would love a copy! Wonderful interview. After each podcast I think you cannot possibly find another story to share that I will find more interesting…and then you go and prove me wrong! Please continue to do so! Feeling very inspired to knit without being totally reliant on a pattern. Thank you! How interesting! I really enjoyed this episode, and am looking forward to checking out Cecelia’s book! I hope I am not leaving a duplicate entry. My first response seemed to have disappeared. I am fascinated by Sequence Knitting! Can’t wait to learn more about it. oh, wow. this book looks so cool! My imagination is in overwhelm with the possibilities within Sequence Knitting. My entire stash could be used so differently than I planned, and that’s a good thing. I hope I win the book since I am positively salivating over it. Great interview full of pearls of wisdom. I just discovered Woolful and I’m hooked! Thanks so much. Thank you so much for your podcast. 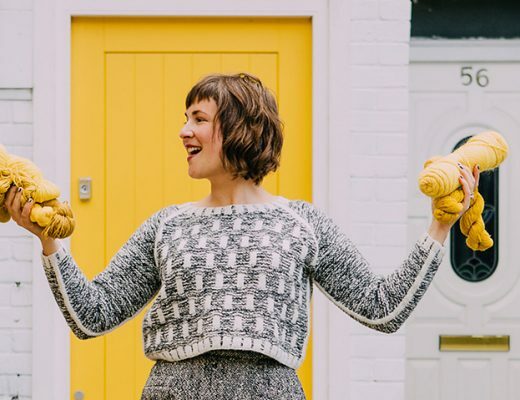 This was a fascinating interview and as a knitter who is motivated by the fabric and process this really resonated with me. Also big up for the shout out on books and where we buy our books. I am a collector of books from my local bookseller or from travels and I feel that sequence knitting would be right at home with my most cherished art and design books. I loved this interview and can’t wait to check out the book! I love the idea that it’s modeled after art books. The concept behind this book is fascinating. I hope I win! Thanks for a fascinating podcast. I love the concept of sequence knitting! In fact, when I picked up knitting again earlier this year thanks to this very podcast (after a long hiatus brought on by compulsory knitting in school) I was looking for a way to learn systematically but my search came up empty. I would love to win a copy and would happily cover the shipping cost to Australia. This book…love at first sight. Signed up for her lecture and class in Portland. Thank you once again for a beautiful podcast. I always learn something from every episode. Thank you for the chance to win a copy of the book! I would love to add it to my library. Happy Knitting! I have been wanting this book. Hope I’m not too late. Thank you so much for your thoughtful, in depth podcasts. I love them! This was a very interesting interview. I will be experimenting with the idea. I wish I lived closer to Knitterly. 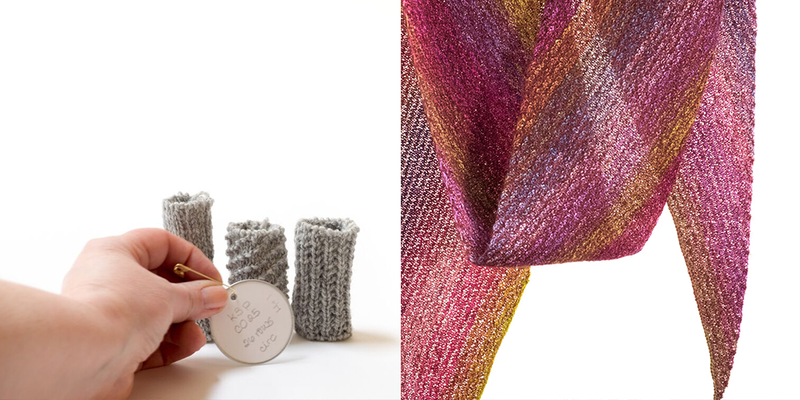 “Sequence Knitting” sounds very intriguing and looks like a beautiful book. Thanks for the opportunity to hear how the inspiration came for writing it. Great podcast! God what is that red yarn on top of the graph paper? It’s gorgeous. I’d love the graph paper, I’m planning a massive undertaking of a project: a knit tapestry depicting scenes from medieval sagas. Would be useful. I bought Sequence Knitting after hearing about it on the Knitmore Girls podcast. It’s been about a month and I am totally besotted with this book. I’ve knit a couple of the hats, am on my second Andrus and am also knitting Hadrians Wall. I found it so engaging that I googled the author to find out more. That was when I discovered your podcast!! I have to say that it is such a total pleasure to listen to you and your thoughtful interviews. Especially love the one with Pam Allen (from Quince & Co.) and I have so much to look forward to in catching up with all you past podcasts. Excellent podcast, easy on the ears. Fascinating episode and am totally intrigued about this book. Would love to own a copy. I found this a fascinating episode and am totally intrigued about this book. Would love to own a copy. i love knitting books even if it does take a way time from my knitting.